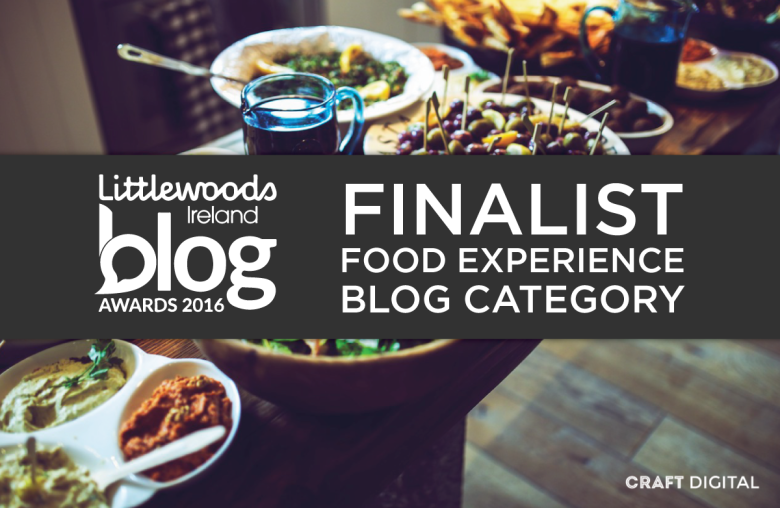 See you at the finals: Littlewoods Ireland Blog Awards! Welcome to our award winning blog. All about artisan food, craft beer and much more! We did it – we made it into the final of the “Food Experience” category in the Littlewoods Ireland Blog Awards 2016. Big thank you to everyone who took the time to vote for us. We really appreciate! We’re up against some stiff competition this year. The 3 other finalists are AA Foodies, Bia Sasta and The Taste. No matter who gets to take the award home on the night it’ll be well deserved as their blogs are fantastic. If you’re interested in attending the awards ceremony, it’s on Thursday 15th September at Duffy’s Circus in Dun Laoghaire. Unreal venue! You can book your tickets here. « Woohoo, it’s our 1st birthday!